Quebec Immigration Skilled Worker Programme It’s Faster & Better! The Canadian province of Quebec runs its own immigration programme that’s different from the ones managed and offered by the federal and the various Canadian provincial governments. The Quebec Immigration Skilled Worker Programme (QSWP) offered by the province is not only faster but also better in many ways. Quebec immigration is not a comparatively complex and tough procedure. Interestingly, in several manners, it is also similar to the Federal Skilled Worker Programme (FSWP) offered through Express Entry at the federal level. Both are points based and select the finest talent from across the globe on the basis of certain key factors. The applicant must be not older than 47 years of age; possess not less than 3 years of education degree; possess language proficiency equals to 6 bands in every component of the general training exam, IELTS; have not less than 1 year of employment experience in a skilled job profile, that’s in demand in the country. The first two requirements are the same (The applicant must be not older than 47 years of age; and possess not less than 3 years of educational degree). There is a small difference in the third requirement though instead of having language proficiency equal to 5 bands in every component of general training exam, IELTS that’s mandatory in the case of the FSWP; you require having language proficiency equals to 5 bands in every component of general training exam, IELTS. As mentioned earlier, it’s basically a point-based scheme that works for the selection of the finest applicants from the list of available candidates. It gives points on the basis of education, age, work experience, language ability, and adaptability skills, among others. Quebec Immigration Skilled Worker Programme is a very good initiative from the Quebec Immigration government and the Canadian Federal Administration. 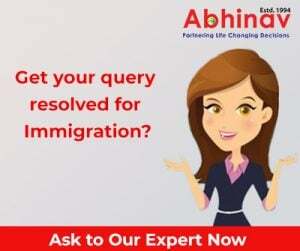 As per some observers on the subject, it is possibly the best corridor for those overseas aspirants, who are well-educated and trained for the immigration to Quebec. Those having the Quebec Skilled Worker Programme eligibility are entitled to apply for the scheme. As mentioned before, the eligibility of the aspirants for the Quebec Immigration Skilled Worker Programme is reviewed on the basis of a selection grid of factors. Those who are declared entitled with the required points get Quebec Selection Certificate (CSQ) even as this permits them to submit an application for the Canada Permanent Residency (PR) Visa. The applicant must be at least 18 years old at the time of applying. He must have a rather good command over either English or French so that he can easily converse and run his affairs while he is in the province. Though it’s not obligatory to know both of the languages, in case he knows, it will do no harm but add more points to his profile, and his chances for immigration to Quebec will become better. If he has an offer of job from a local Quebec recruiter, it will also boost his immigration chances. Besides these, he must possess not less than 1-year of relevant experience while applying. However, it’s better to possess 3-years of employment work experience to gain the highest number of points. In addition to this, he must be armed with the necessary documents to illustrate his employment experience. He must have adequate educational qualification to be considered as a promising member of the Quebec manpower. To boost the chances of selection, having not less than a Master’s degree is advocated. In addition, the documents have to be offered to the suitable officials. In case a person is keen to shift to the province, minus an offer of job, he must possess the evidence of necessary funds. It needs to be exhibited that he has sufficient funds to take care of himself and his family for not less than 6 months while they are in the province. As of January 2018, if an applicant wants to apply for Canada immigration under the programme, he must utilize the Mon projet Québec. He has to offer the biometric information (photos and fingerprints) to the government of Canada from July 31, 2018. A new intake period for the Quebec Immigration Skilled Worker Programme 2018 (up to 5,000 petitions) will be made public soon.